As we begin 2008, the markets are on edge. Exotic “collateral-ized” and “securitized” credit instruments float through the global economy like financial time bombs. Respected financial experts from all over the world are unable to predict the ultimate impact of the protracted unwinding of the credit bubble. But one fact is undeniable: for nearly three years, gold prices have been rising steadily, they have been rising in all currencies, and that rise is now accelerating. Precious metals bullion prices have always been the proverbial canary in the coalmine: a leading indicator of inflation and an early warning signal of volatile times ahead. According to most metals experts, we are in the early stages of a long-term uptrend for precious metals. Now is not the time to take profits. 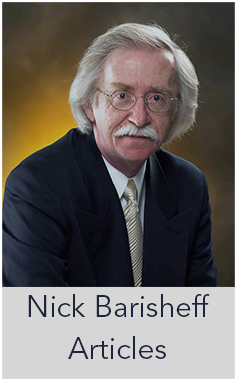 In fact, it is time to begin overweighting portfolios in precious metals in order to protect investors’ wealth from the threat of systemic risk. In our opinion, a number of destructive forces are converging on unwary investors, and there is little the US Federal Reserve or the Bank of Canada can do. Early warning signs are everywhere: a global economy weighed down by a declining US dollar, and accompanied by explosive growth in global money supply; slowing US GDP growth that may in fact have stalled; consumer debt that is at all-time highs; savings that are at all-time lows; consumer confidence that has plunged to its lowest level in fifteen years. For these reasons and more, the upswing in precious metals prices has a long way to go. The question for 2008 is whether the US will experience a slowdown, a recession or stagflation. The presence of inverted yield curves last year suggests an answer. History shows that inverted yield curves – when long-term yields fall below short-term yields – are harbingers of recessions. Bond investors seeking refuge from an impending financial storm look to the safety of long-term Treasuries. Unfortunately, Fed Chairman Ben Bernanke is caught between a rock and a hard place. The credit bubble finally popped and, worst of all, the damage spread and deepened into 2008 – an election year. The Fed’s dilemma is this: if they reduce interest rates and boost the economy, they will fuel inflation and send the dollar down. If they increase interest rates, they may keep inflation in check and boost the dollar but they will seriously damage the economy, and with it the political aspirations of the future president. In a stagflationary environment (where growth is stagnant and inflation is rising) there is no good solution. Greenspan himself warned there is a 50/50 chance of stagflation. Yet increases in the money supply will continue as Ben Bernanke tests his Ph.D. thesis in real life: that a depression or severe recession can be avoided by flooding the system with liquidity. The Fed discontinued reporting M3 in March 2006, but several sources have reconstructed the data and determined that US money supply is now growing at an unprecedented annualized rate of 16%. Increases in money supply will likely accelerate, since central banks have announced they are prepared to provide liquidity in unlimited amounts in order to maintain bank solvency and prevent a systemic financial crisis. The inflationary implications of this policy are clear. The domino effect of the credit crisis will continue. After mortgage defaults, we can expect car loans and lease defaults to follow. But the biggest issue may well be defaults on credit cards. Americans have accumulated nearly $1 trillion in credit card debt. On a per capita basis, Canadians are no better. Credit card delinquencies will rise because consumers can no longer use their home-equity lines of credit to pay off their cards. The bursting of the credit card bubble in 2008 will be another blow to the fragile credit market. A UK study revealed that, incredibly, 6% of British homeowners have been using their credit cards to pay their mortgages. New card marketing with teaser rates of 0% ensures that many un-creditworthy borrowers will face rates from 19% to 36%. The resulting fallout could make the subprime issue look trivial. Corporate and municipal bonds could be next in line for trouble. In the corporate bond market, the big monoline insurers (guarantors in the event bond issuers default) may go bankrupt or at the least lose their coveted triple-A credit rating. If a credit change were to happen, all their insured obligations, also triple-A rated, would lose that rating. Because institutional investors are mandated to hold only triple-A loans, this would result in the forced sale of billions of debt instruments into a declining market. On the municipal bond side, things look equally dire. The subprime credit crisis is forcing many consumers out of their homes. The more homes abandoned, the greater the erosion of municipalities’ realty tax base, leaving them unable to pay the billions needed for infrastructure maintenance and development. Counterparty risk will be the main focus in 2008, because a large percentage of subprime mortgages are due to reset, resulting in further foreclosures and more downward pressure on the real estate market. An estimated $250 billion in further losses may be incurred in 2008. As we have recently seen, the counterparties to Collateralized Debt Obligations (CDOs) and mortgages may default. And the counterparty risk in many derivatives is a complete unknown. In the late 1970s people lined up for blocks to buy precious metals. On one occasion this year, as gold topped $900 an ounce, only one of the six tellers dealing in gold at Scotiabank in Toronto was serving a customer, and no one was in line. Clearly, few individual (let alone institutional) investors are aware that precious metals are enjoying a long-term bull market with strong fundamentals, signalling that the uptrend has much longer to run. Investors cannot ignore the warning signs if they want to protect their wealth. It is time to rebalance portfolios for safety rather than growth. Physical bullion provides the greatest degree of negative correlation to traditional financial assets, and will help protect portfolios from a market decline. 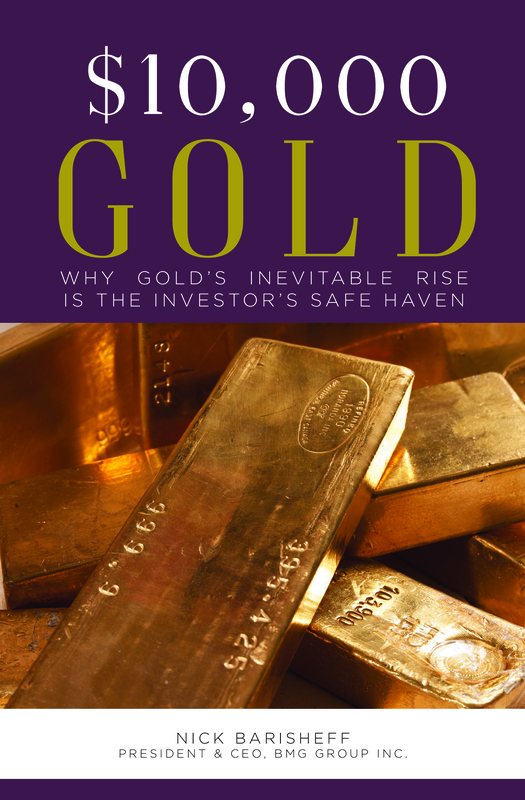 For more substantial protection, investors need to allocate more to bullion. Given the precarious state of the economy and the markets, we recommend a minimum allocation of 20%, but Wainwright Economics suggests an even higher percentage – 40% or more. 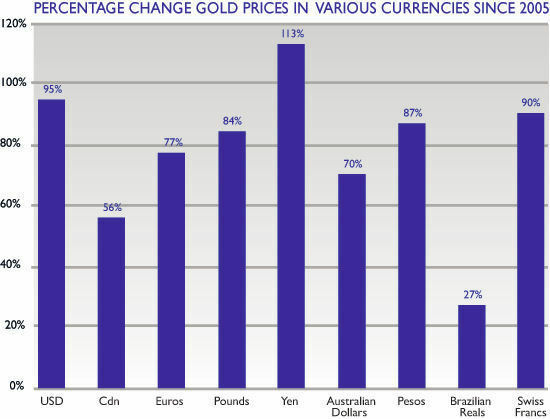 Price forecasts for gold in 2008 cover a wide range, but the current price does not really matter. Why? Because over the long term, prices of precious metals – gold, silver and platinum – will rise to much higher levels, in all currencies. The underlying factors causing the current increases will not only continue but likely accelerate. 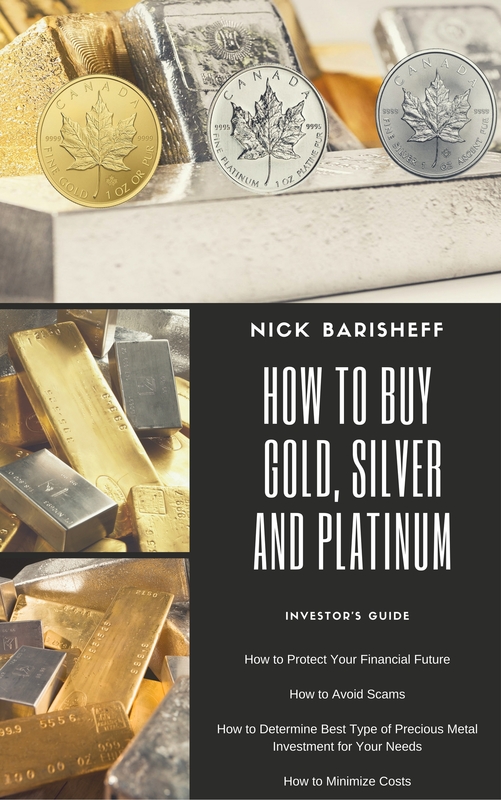 Many analysts predict that in 2008 gold will surpass $1,000 per ounce, silver $20 per ounce and platinum $2,000 per ounce, and in years to come prices will go much higher. This year, precious metals gains measured in Canadian (versus US) dollars will be similar, as the Canadian dollar either declines against the US dollar or remains near parity. Will Fed action produce the mega-bubble of all bubbles? No one knows for sure, but the odds are rising every day. “The kind of upheaval observed in the international money markets over the past few months has never been witnessed in history,” says Thomas Jordan, a Swiss central bank governor. “The subprime mortgage crisis hit a vital nerve of the international financial system.” Segregated, unallocated precious metals bullion cannot be leveraged, printed or borrowed. That is why it provides unsurpassed, low-risk protection against both systemic events and inflation. We are in the midst of the worst financial crisis the credit markets have ever seen. While the US dollar may be the world’s reserve currency, precious metals are the world’s reserve of real wealth. Precious metals are real assets with enduring value, which is why – in any market environment – their prices will continue to rise. *All amounts expressed in US dollars, unless otherwise noted.